You know it's important to visit the dentist twice a year, but does the very thought of going make your palms clench as you break out into a cold sweat? If so, know that you're not alone. There are many people who have a fear of going to the dentist, even just for a basic cleaning and exam. If you can't stand the thought of going to the dentist, you may want to ask your office about sleep dentistry. So, what is sleep dentistry, you ask? Sleep dentistry, or sedation dentistry, is a method of dentistry that allows you to relax so you can have your procedure - be it cleaning, a filling or a root canal - with the help of medication. The term "sleep" may sometimes be misleading because, except for the use of general anesthesia, you are not fully asleep; you are sedated. • Minimal. This uses the lowest amount of sedation. You are gently relaxed and fully awake. • Moderate. The next level of sedation, you are still awake, but are much less aware of what is happening. You most likely won't even remember any of the procedure. • Deep. At this level, you are almost asleep, but, if necessary, you can be roused. • General anesthesia. 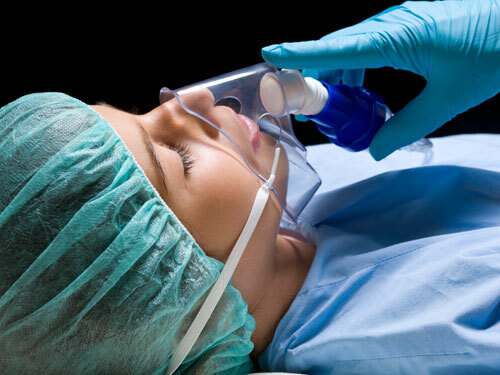 When using general anesthesia, you are completely asleep. • Oral. With oral sedation, you are given a medication you take by mouth about an hour before your procedure. Depending upon the dose, you will either be lightly or moderately sedated. You might even fall asleep. • Intravenous. You are given medication through an IV, which makes it work quicker. This can be used for moderate sedation, as well as deep and general. With deep and general anesthesia, the amount of medication given makes you on the verge of, or completely, sleeping. • Can't handle pain well or are unable to sit still because of nerves. • Have sensitive teeth that cause a lot of pain when they are worked on. • Need a lot of work completed. Sleep dentistry can make going to the dentist a more bearable experience. Contact our office to see if they offer sleep dentistry and if it is right for you.